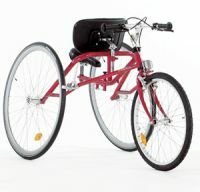 Included here are tricycles which have pedals attached to the front wheel and no chain mechanism. 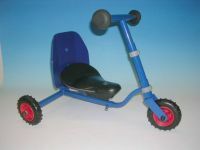 Also included is a running tricycle which is propelled by your child's feet which remain in direct contact with the ground. 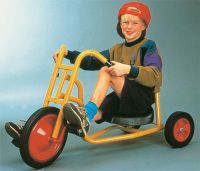 The angle your child has to push the pedals on a direct-drive trike is different from pushing down on chain drive pedals, and foot supports may be needed. 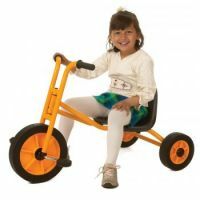 Most of the cycles listed here do not have adjustment in the seat or handlebars, so always try the trike out before purchase to ensure that it suits your child's needs. 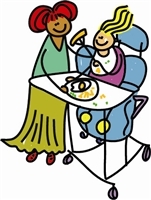 Tricycles don't require your child to have fine control of balance which means they let your child go as slow as they like in comfort and safety.